Not valid for groups, tournaments or special events. Offer may not be combined with any other offer or discounts. Packages must be booked 48 hours in advance. Resort Credit may be redeemed for retail items, The Spa, or at food outlets - not available for use on the course, towards gaming or current hotel stay. 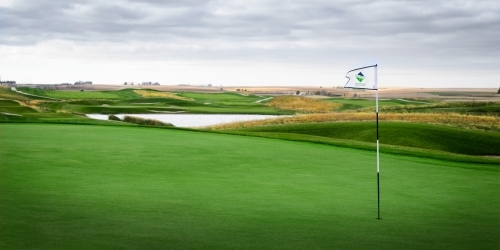 When calling 712-777-7777, please mention you saw this golf package on IowaGolf.com and mention promo code: IowaGolf.com. The Falls at Grand Falls Casino & Golf Resort reserves the right to change price and offer at anytime. Prices and offer are subject to change without notice. IowaGolf.com is not responsible for errors posted in this golf package.